A television detective more suited to solving murders on the streets of Maryhill is backing an appeal to protect the wild hills and countryside of the UK. 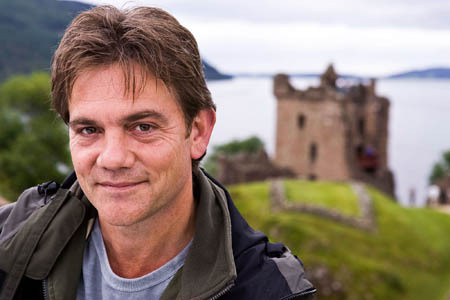 John Michie, who plays Detective Inspector Robbie Ross in ITV’s Taggart series, has lent his support to the John Muir Trust’s Wild Land Campaign. The 54-year-old actor, who also presented Highland, a documentary on the clearances of the 18th and 19th centuries, is one of the trust’s wild land ambassadors who have come forward in support the campaign, which organisers hope will raise £20,000 to help establish a new environmental designation for wild land in Scotland, and the extension of national parks and areas of outstanding natural beauty to cover the wildest areas of the rest of the UK. Mr Michie said: “Wild land is a vital part of our lives. It is great for tourism, great for wildlife, and most of all it is a vital part of our everyday lives. The trust, named after the Scottish pioneer who emigrated to America and was instrumental in setting up the country’s national parks, said the UK’s wilderness has come under unprecedented pressures from inappropriate developments, including roads, power lines and poorly sited wind developments. According to Scottish Natural Heritage, the amount of land in Scotland unaffected by visual intrusion from built development fell from 41 per cent to 31 per cent between 2002 and 2008. John Hutchison, the trust’s chairman said: “We are delighted that John Michie is supporting our campaign to secure better protection for the UK’s wild land. “There is currently inadequate protection for landscapes in our most important wild land areas. Less than one-third of this area is currently afforded any protection under landscape designations such as national scenic area and national park status. The JMT is also collecting signatures for petitions to the Scottish and UK Parliaments calling for better protection for wild land. Other wild land ambassadors are writer and broadcaster Cameron McNeish; the first Scotswoman to climb Mount Everest Polly Murray; writer and athlete Karen Darke, and mountaineers Jamie Andrew and Simon Yates.